ITIL is a well-known and established framework that provides a set of best practices for managing IT services. 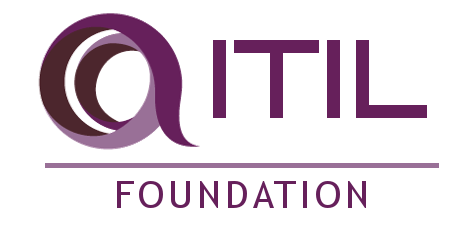 The ITIL Foundations exam is the entry level exam which aims to provide a general overview of key concepts and terminology of the ITIL framework. Having just passed the ITIL Foundations Exam I wanted to share my thoughts and tips in this exam study guide as a means of helping others pass the exam. While most ITIL training providers provide all-inclusive training packages which include formal classroom training and the ITIL Foundations exam. From past experience I’ve always found formal classroom training to be a waste of time. Cramming all that knowledge in just a few short days never really worked for me … I’d forget soon after … instead, I chose a different pathway. 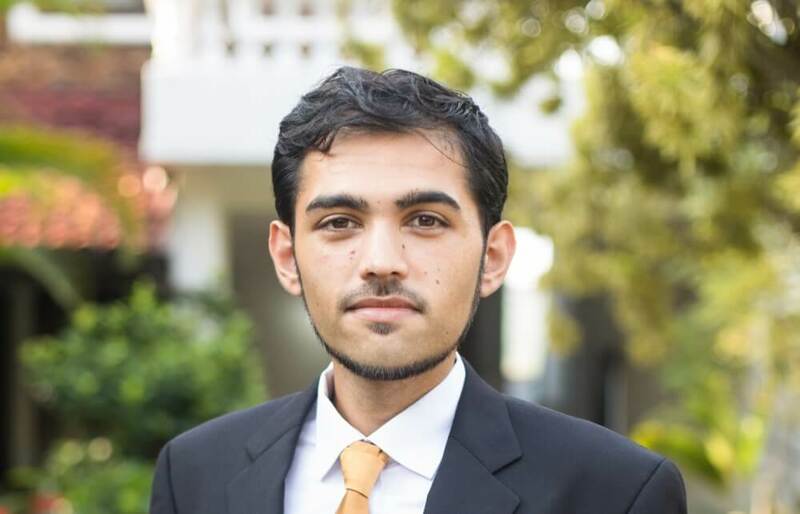 My goal wasn’t to just PASS THE EXAM but also to RETAIN the learnings so that I could put them into practice. I used a combination of reference book materials and online training resources to help me pass the exam. 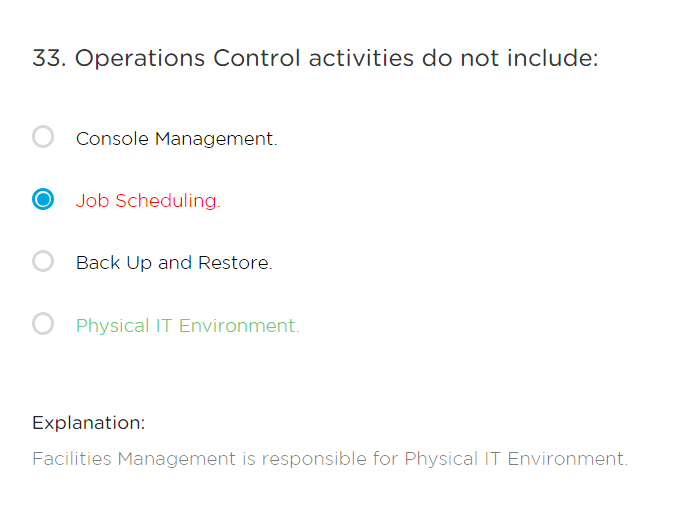 It must be said that I already work in an ITIL based environment on a day-to-day basis, so some of the concepts introduced were already familiar to me. Reading the Passing your ITIL Foundations Exam official exam reference book. Watching the Pluralsight online video training courses. The official exam reference book proved to be valuable because it covered all the key topics of the actual exam, including a test exam right at the very end. 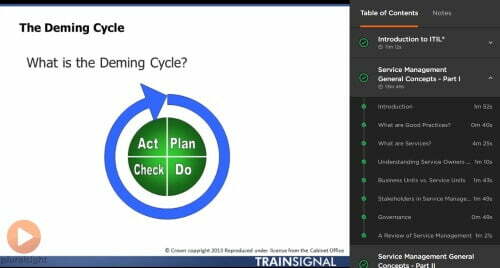 I also watched the fantastic ITIL Foundations training course on Pluralsight by Lowell Amos. I didn’t watch the entire series, only the topics that I wanted to learn more about. If you’re not already familiar with Pluralsight, it’s basically an all-you-can-eat online video training library for anything and everything IT related … from Angular web development to Machine Learning to the Microsoft Azure cloud infrastructure … it’s got everything! I’ve been a subscriber for quite a while now and have found it to be really invaluable. Even if you’re not interested in paying for a subscription, I recommend you take the free trial to pass the exam. TutorialsPoint is another great ITIL learning resource. They have a great breakdown of the different ITIL concepts that are covered in the exam. Although I didn’t read all of the content on this site, I found this resource useful to get a quick refresher. Like most people, I’m a visual learner. I can more easily absorb visual forms of learning such as videos, mind maps etc. Mind mapping is a great visual learning technique that involves organising data in a visual manner. A mind map should only contain the key concepts, it should not be a novel! I used the free online mind mapping tool Coggle to create a mind map for the ITIL exam. I periodically studied the mind map to refresh my memory of the topics covered in the exam. If there were any concepts that I couldn’t remember, then I would go back and study them. You can see my mind map below. 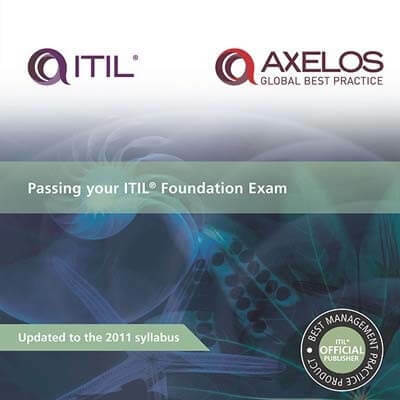 There are plenty of free practice exams out there from various ITIL training providers. I used the free practice exam from SimpliLearn. After completing the test exam, you’ll get a breakdown of your result. Including an explanation for each answer. I spent around 1 month preparing for the exam, including reading through the exam reference book and watching the Pluralsight videos. I’ve heard of people doing it in much less time though – but as I mentioned before, my goal wasn’t just to pass the exam, but to understand the content so that I could put it into practice. I booked the online exam through ITSM Hub. It was hard to find a training provider that would provide the exam only; most providers only offer it as part of a training package. Before the exam, you’ll need to install the exam software on your PC or Mac. When you initially launch the software it’ll check your system for compatibility, including webcam, audio etc. Once completed you can then complete the exam. The exam runs for 60 minutes in total. You will be asked 40 multiple choice questions during the exam. The pass mark is 65%. My approach to the exam was to quickly speed through the questions – at most I’d spend 30 seconds per question. Then I’d come back around and go over the questions once again to double-check my answers. Even if you don’t know the question, it’s better to choose an answer, than nothing at all. I found most of the questions to be quite straightforward, although I did encounter a few questions that were a bit tricky. Pay close attention to the wording used in each question, a single word or phrase could mean the difference between a right and wrong answer. At the end of the exam, you’ll immediately be told whether you’ve passed or failed the exam. The exam summary will include a breakdown of how well you did across each of the main topics covered in the exam. I achieved 85% in the exam. The pass mark is 65%. I hope you’ve found this ITIL Foundation Exam Study Guide to be helpful to you. Have you passed the exam? What were your experiences? Feel free to share your thoughts below. 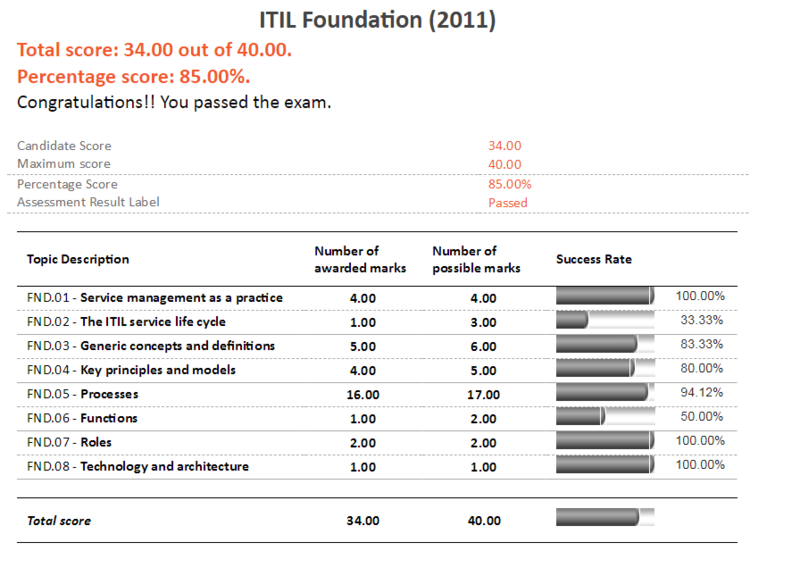 This entry was posted in Miscellaneous and tagged Certification, Exam, ITIL, ITIL Foundations, ITSM, Pluralsight. Bookmark the permalink. Thanks to help out beginners making easy to start with. Before the exam I had 1 week of intensive learning (several hours a day) and 1 week of reviewing and completing mock exams. Congratulations Peter! Thanks for the kinds words. It’s great to hear of your experience and your tips for passing the exam. I’m sure it will help others out there. Great job.